We use a heat mat and thermometer to germinate our vegetable garden seeds. 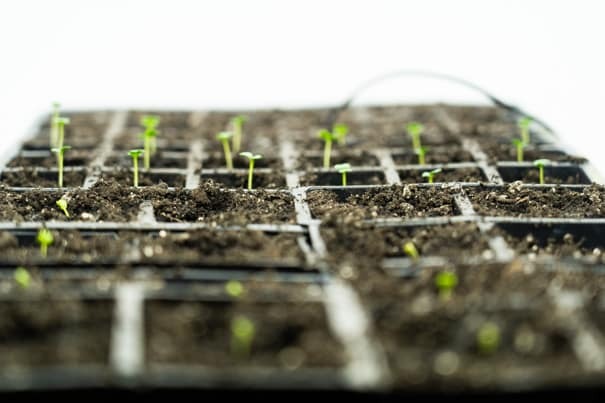 Find out how we use these tools to get a 100% germination rate. This saves time and ensures reliable sprouting. With garden season approaching, our seed order just arrived in the mail. Even though we’ve had a few near record low temperature days in NYC, that doesn’t mean we can’t be starting our Spring garden indoors. The first step is germinating our seeds. After just 3 days of planting our seeds, we have a full tray of seedlings that have already broke through the soil! To save time and money, we find that with just a little extra work you can have nearly perfect germination rate with the right tools. With our heat mat, thermometer and grow lights, let’s start the 2019 garden season and plant broccoli, cauliflower, kale and bok choy seeds.